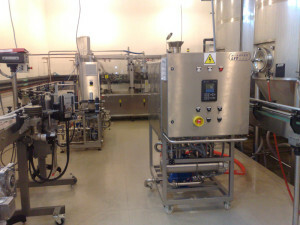 The Moravek CIP unit has been designed to meet the demand of the preparation, storage and distribution of cleaning agents for the cleaning of food processing technologies. The automatic clean in place (CIP) unit consists of an energy centre containing a valve cluster, variable speed driven pump, heating cluster, dosing pump for concentrates as well as pneumatical and electrical parts including the control system. The energy centre is designed to be connected to a maximum of three insulated storage tanks which are each fitted with a sprayball and agitating jets. It contains discharge and inlet concentration along with a temperature measuring device and control including discharge flow control. The units have been designed to require minimal operator control and with the minimum number of mechanical parts making them an ideal addition to the beverage manufacturing process. No need for operator control with the exception of the changeover of concentrates and the initial choice of procedure on the operator’s panel. The units are easy to operate with fully automated procedures. Level heights, including volume calculations in storage tanks, are continuously measured. Storage tanks include intensive agitating jets. The cleaning agent is delivered to the machine using a variable speed driven pump which can be adjusted to the desired discharge flow. 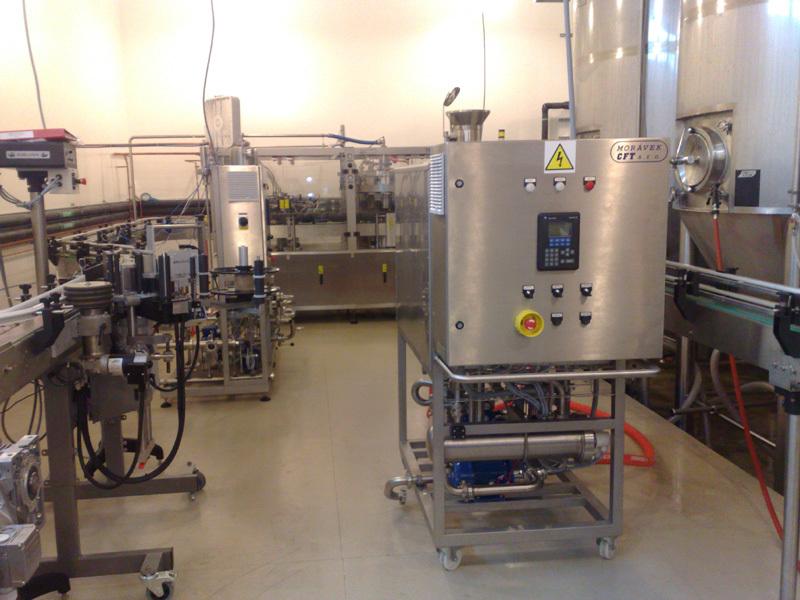 The cleaning agent concentration and temperature is automatically controlled during CIP. Automatic procedures can be stored for up to 20 independent circuits. Tanks are self-cleaning using a sprayball system. Allen-Bradley PLC control systems are incorporated which include an easy to use colour operator’s panel. The units are easy to maintain with a minimum number of moving parts and no propeller agitators. Each CIP record can be printed if desired. Communications are prepared for one product line (mixer, filler, syrup room and accessories) but can be extended on request. If required more parallel energy centres using existing tanks can be assembled for use on more than one line.